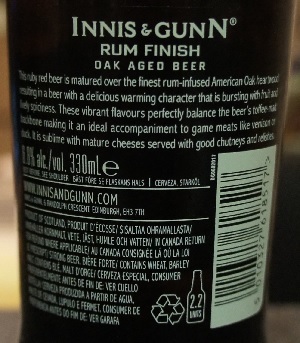 Other Notes: Rum Finish is the same beer as Rum Cask as the recipe is the same but only the process changed slightly. 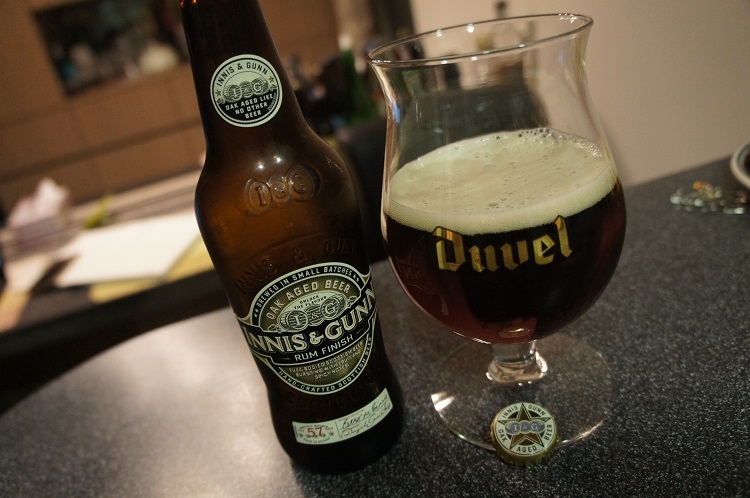 Malts – Innis & Gunn Ale, Crystal, Roasted Barley and Chocolate. Hops – Super Styrian. Matured for 57 days in oak heartwood infused with specially selected rums. Brewer Description: (from bottle) This ruby red beer is matured over the finest rum-infused American Oak heartwood resulting in a beer with a delicious warming character that is bursting with fruit and lively spiciness. These vibrant flavours perfectly balance the beer’s toffee-malt backbone making it an ideal accompaniment to game meats like venison or duck. It is sublime with mature cheeses served with good chutneys and relishes. Intro: A 330ml bottle with a best before end of March 2016 date and poured into a Duvel tulip glass. Appearance: It poured a clear dark reddish copper with a slightly less than one finger tanned head that dissipated fairly quickly leaving some nice lacing. 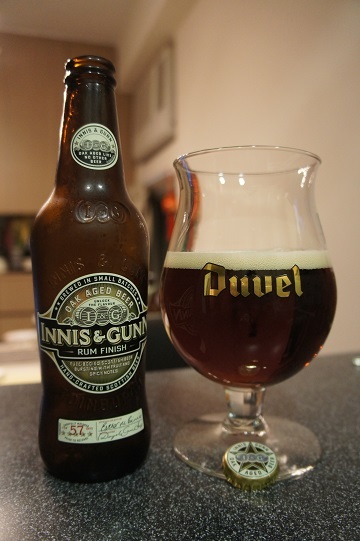 Aroma: Strong vanilla, raisins and oak with hints of toffee, caramel and rum. Taste: Sweet-ish rum and plum with a nice long vanilla, oak, coconut finish. There was also some hints of caramel and butterscotch in between. Overall: This was nice and interesting albeit a bit vanilla heavy. 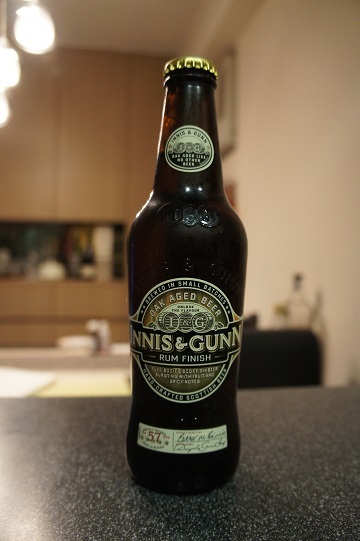 I would not categorise this as an everyday drink but it’s something I wouldn’t mind trying every now and then.